Product donations to social change organizations are increasingly popular. 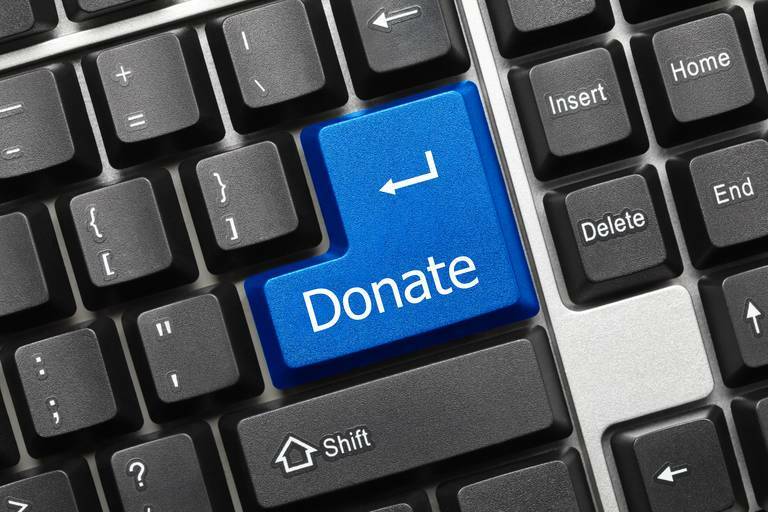 These donations can include software, hardware, subscriptions, or platforms. For many companies however, their product donation programs aren’t meeting their goals. A company can’t achieve their citizenship, brand or market development goals if no one is requesting or using their donations. The corporate sector knows that paid clients need training, customer service, and product implementation support, yet this same set of services is rarely offered to nonprofit customers. Too often, nonprofits end up paying for these “free” products in staff time and consulting fees. Forcing nonprofits to spend unexpected and unbudgeted time and money to use a donation can actually end up negatively affecting a company’s brand or community reputation. Taproot Foundation knows that coupling a product donation program with pro bono service – donated professional expertise from the business’s employees - can be a powerful combination that supports nonprofits’ use and adoption of your discounted or free product. When nonprofits receive the support they need, they become happy- and repeat- customers. Below are five steps to determine if your company has the right resources, information, and structure in place to launch your own pro bono program for product donations. Step 1: Do you have a clearly defined product donation offering? This may sound basic, but pro bono service is more valuable when it is coupled with an existing, viable product donation strategy. A clearly defined product donation offering includes a market focus, market segmentation, and a specific product offering for nonprofit customers. It includes external research to validate how your product can be helpful to social change organizations. Step 2: Does your product need pro bono support? This is about understanding your nonprofit users and their product experience. Gathering this customer feedback can help you understand whether organizations are actually using, not just acquiring, the product. It also gives you insight into the types of organizations and primary users of your solution, as well as uncovers the barriers or pain points nonprofits are encountering. Step 3: Have you defined success for your pro bono for product donation program? Determining what your goals are from both a social impact and business benefit perspective can ensure that you create a program that meets all of your objectives. To create impact, you may target your donations at nonprofits working on one specific issue like food security or inclusive entrepreneurship. Or you may focus on increasing all organizations’ efficiency and effectiveness. For business benefit, you may use the program to increase cross-department collaboration or as a way for employees to practice delegation and team management. Defining your specific goals is the first step to achieving them. Step 4: Do you have internal buy-in around pro bono for product donations? Building advocates, champions, and advisors across your business will go a long way to building a pro bono for product donation program that lasts. Gauging the understanding of pro bono service among both the C-Suite and employees will give you a sense of how heavy your “lift” will be to build support and participation in the program. Connecting the program to existing HR business goals—like leadership development—can expedite the buy-in process. Step 5: Are resources available for pro bono for product donation at your company? Launching and managing a pro bono for product donations program takes both financial and personnel resources. Like anything at the business, you are going to need to continually invest in it to make it work. You’ll need dedicated personnel to run the program, employees with the bandwidth to participate, and sometimes financial resources to hire outside advisors who can help you design, launch, and manage the initiative. Taking the time to understand and build this groundwork will ensure that your pro bono for product donations program best serves your nonprofit customers, employees, and your business. Once this groundwork is in place, here are three tenets to follow as you design and launch your program. Follow the Business: Maintain quality, ensure sustainability, and make your life easier by treating your program with the same amount of rigor and diligence that you would any other aspect of your company. Make the Investment: Design this program in the same way you’d launch a new business line or product. Conduct the research and analysis of the marketplace and clients, invest in the staffing and personnel at the business, and allocate a budget to run both the product donation and pro bono programs. Structure the Offering: This is the nuts and bolts of the actual pro bono program. Consider your desired size and scale, how your employees will get involved, and what kinds of pro bono projects they will deliver. Your company’s culture, employees’ preferences, and nonprofits clients’ needs will all affect the way your program is delivered. Being free isn’t good enough. Investing in a pro bono program helps ensure that nonprofits actually adopt and use your solution. Combining pro bono service with your product donation program can help organizations all over the world use your product to increase their effectiveness, reach optimal efficiency, and be fully equipped to take on our biggest social challenges. Ava Kuhlen is Director of External Relations at the Taproot Foundation, a nonprofit that engages design, marketing, IT, strategic management, and human resources professionals in pro bono service projects to build the infrastructure of other nonprofit organizations. Taproot Foundation’s Advisory Services team has partnered with over 85 leading companies to connect their world-class talent with social sector needs. Ava has more than 10 years of experience aligning networks of people and resources for social impact and specializes in nonprofits, philanthropic advising, and corporate social responsibility. She lives in Berkeley, California, and spends her free time playing outside.